This is a gift certificate for use on online orders only. If you would like a gift certificate for purchasing in our Bonner Springs, Kansas store or for an order placed over the phone, please call us at our toll free number 1-888-410-0680. Click on the smaller gift certificate logo below. Replace the price field below with the amount of the gift certificate that you would like to purchase. Place in shopping cart and proceed through checkout to complete your order. After completing your order, you will be able to print your receipt and you will be e-mailed a receipt. The receipt will display a serial number below the product "Gift Certificate". We will also send a paper certificate to the billing address on your account. If you would like it sent to a different address, please specify this in the order notes. Retain the serial number and give it to the recipient of your gift certificate. When using the gift certificate, there will be a "gift card" field at the bottom of your shopping cart. Fill the serial number in this field and update your cart. 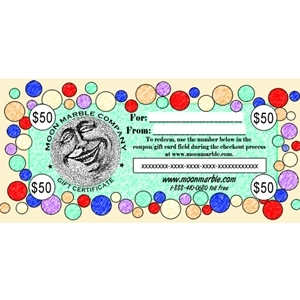 The gift certificate will be applied to the item and shipping costs. It will be taken off of the total after you have chosen a shipping option. It may be used on multiple orders as long as there is a balance remaining on the gift certificate.